New ​Jets head coach ​Adam Gase is getting the band back together. The problem, however, is that it doesn't look like the band members want to get back together. The Jets hiring former Saints linebackers coach Joe Vitt, whose daughter Jennifer is married to Gase, as outside linebackers coach instantly becomes one of the more awkward hires so far this NFL season. The Jets defensive coordinator is former Browns and Saints defensive coordinator Gregg Williams. Both Vitt and Williams were complicit in the famed "BountyGate" scandal, but Vitt actually testified to the NFL against Williams. 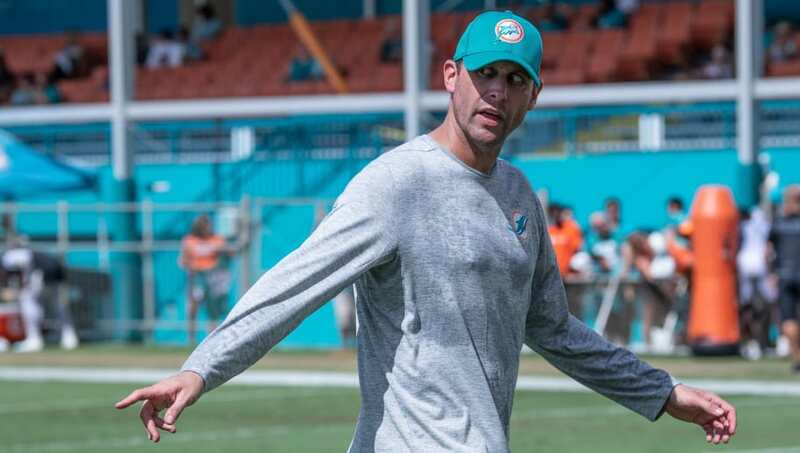 #Jets coaching staff includes Adam Gase's father-in-law, Joe Vitt. Vitt was in New Orleans when Gregg Williams got hit with the BountyGate scandal. Vitt ended up testifying against Gregg Williams. Now they're together in New York.... again. ​​Insert your Michael Jackson popcorn-eating gifs here, because this is going to be pretty awkward. Vitt and Williams were instrumental in the creation of the bounty system, which paid Saints players extra bonuses for injuring opposing players. Williams received an indefinite suspension from which he was reinstated after one season, while Vitt only received six games, possibly due to his testimony against Williams. While reports say the two have patched things up, there is reason to be suspicious. This pairing could be extremely volatile. Vitt and Gregg Williams were on the Saints Bounty Gate coaching staff. Vitt testified against Williams, but they’ve obviously patched things up. ​​In a vacuum, Williams and Vitt are excellent defensive minds. However, the pairing of both of their volcanic personalities to go along with Gase's stubbornness could create for a bomb of epic proportions in Florham Park.